Hopefully im putting this all in the right place. ...removing my smog pump and on the passengers side I'm good with removing the Air tube...but on the drivers side of the block, the middle two bolts are accessible because of this enclosed casing with a tube coming down from the air cleaner housing. 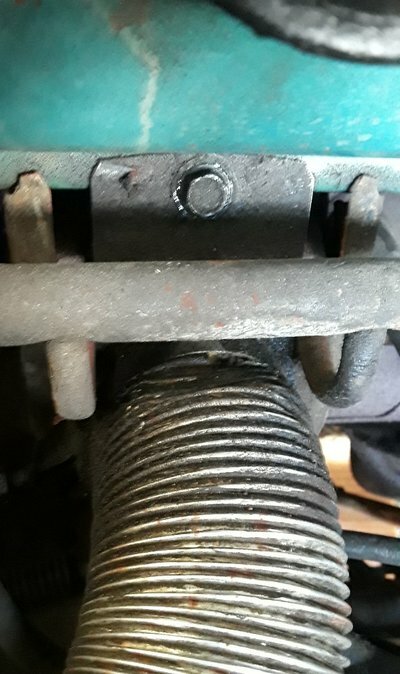 There are 3 bolts underneath on the header where it seems to be holding it on. I feel if i remove them, Id have access to the two middle bolts so I can plug those. 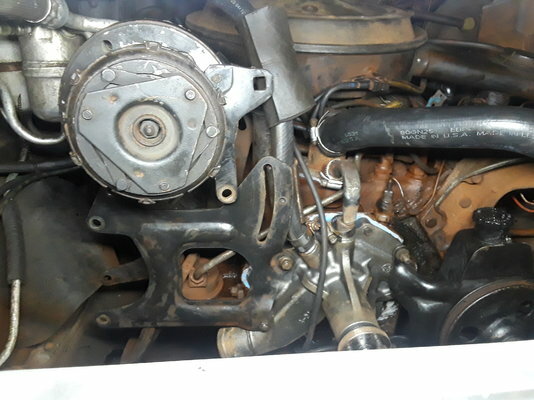 I snapped two photos, not exactly the best but they show what I mean...350 v8 Olds engine. 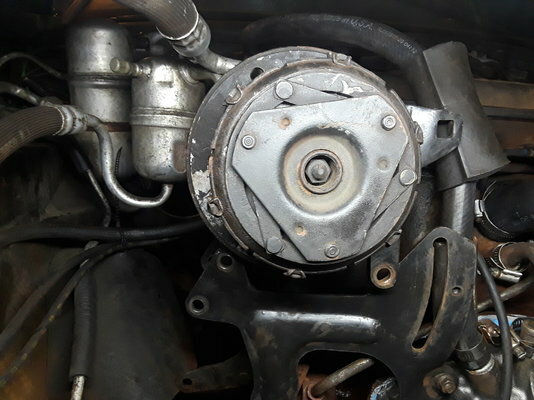 Any help is appreciated..
i know I'll have to change the ac compressor belt to compensate for the smog pump missing, do you know what size yours was? or at least the size difference between your last belt and nww one, if you changed? I will get you the belt number when I get home. had a couple of other problems, but finally desmogged. 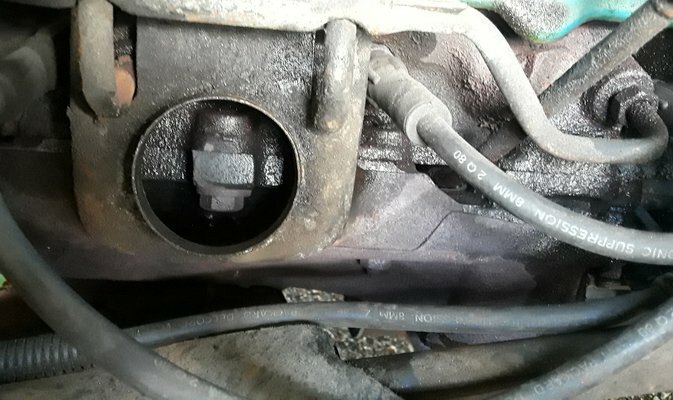 my question now is being that i havent been able to find a bracket for this, can i strap belt on and run the car with the ac compressor like this? or do i need to find a new bracket system..